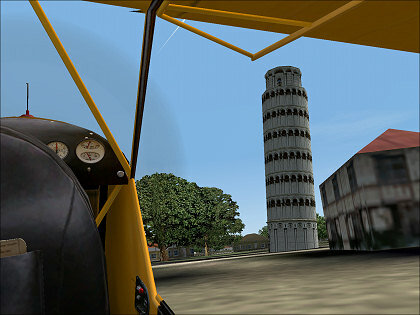 Sightseeing at the Leaning Tower of Pisa, in Pisa, Italy. 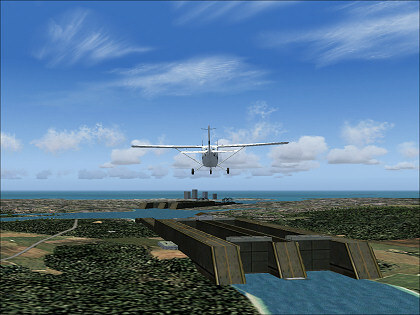 A couple of locks on the Panama Canal, looking towards the Pacific Ocean (the locks on the Atlantic side aren't rendered very well). Unfortunately, the water is the same elevation on both sides of the locks, which is not correct. 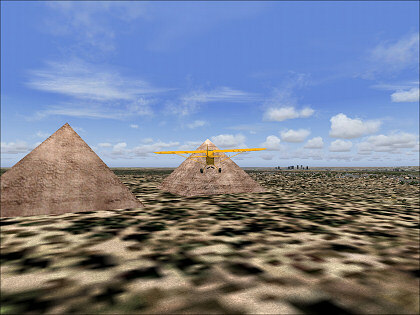 Egyptian pyramids, west of Giza, Egypt, which is just south of Cairo. At the right side of the picture is the Sphinx, a stone sculpture, but it's too small to see in this picture. The way the pyramids are rendered on the sloping ground, one side of the base is resting on the ground, but the downhill side of the base is actually floating in the air, since the ground drops away on that side. 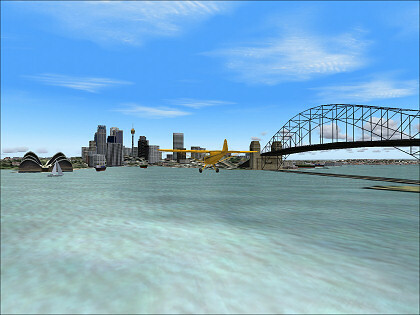 Fooling around over Sydney Harbor, in New South Wales, Australia. 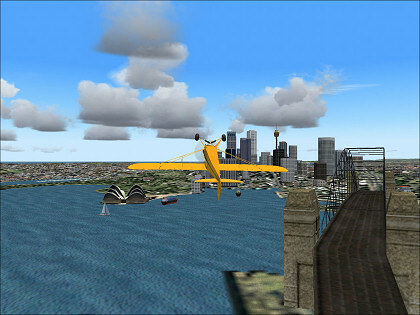 You can see the famous Opera House and the bridge, although the bridge is rendered as a spindly stick figure.